Anti-allergy medication. 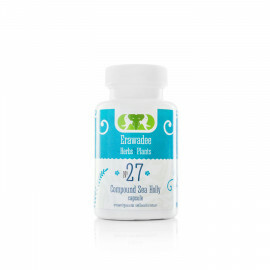 Prevents development and facilitates the allergic reactions. Normalizes cell-mediated immunity. Eliminates skin inflammation. 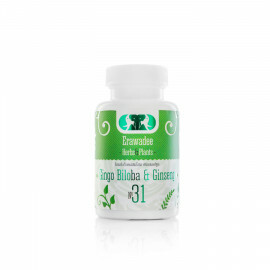 Purifies lymph from allergens and toxins. Normalizes blood circulation in peripheral and coronary vessels. Normalizes heart and pelvic organs function. Reduces cholesterol level. Increases microcirculation in cerebral vessels and peripheral tissues. Has tonic effect . Increases performance, resistance to physical stress. Stabilizes emotional conditions. Improves memory, thinking, and attention focusing. Prevents blood clots (including cerebral vessels). Helps in prevention of strokes and treatment of its consequences. Restores during the post-operative period. Brain and memeory booster. Has a tonic effect on the body, reducing the overall weakness, fatigue, and somnolence. Increases mental and physical activity, potency. Reduces cholesterol (LDL) and glucose levels in the blood. Stimulates adrenal glands activity. Improves and stimulates heart function. Strengthens coronary vessels. The drug gives health and youthfulness to the skin, making it more fresh and smooth. Prevents wrinkles, strengthens hair and nails. Lifts breasts, making them more elastic. Normalizes menstrual cycle and female hormone system. Prevents climacteric syndrome. Insomnia treatment. Activates nervous and muscular relaxation. Relieves panic, fear. Eliminates irritation, stress. Naturally restores daily rhythms. Helps to keep youth and beauty. 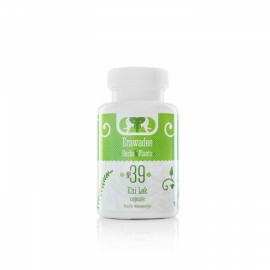 Provides ease of falling asleep, physiological sleep, vigorous daily activity without any somnolence. Not addictive. Improves digestion. Relieves seasickness. Has anti-oxidative and anti-inflammatory effect. Normalizes gastric acidity. Reduces glucose level in blood and urine. Normalizes carbohydrate metabolism. Increases tissue sensibility to insulin and degree of its binding to target cells. Does not cause hypoglycemia.